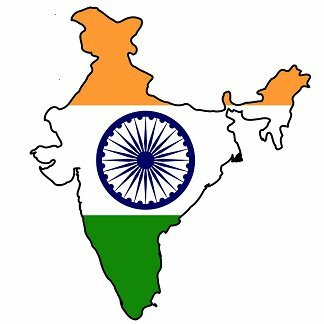 India is a wonderful program for families interested in children that are	a little older, or have some minor medical needs. 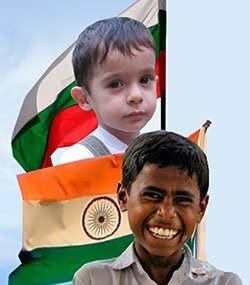 The Indian adoption program is a fairly stable program, and well managed	by the Central Authority for Adoption in India. It has a long history	of placing children with loving families, and regularly updates the rules	and proceedures to improve the program. Every effort is made to place	children with parents of Indian heritage in India first, followed by parents	of Indian heritage abroad. If these are unavailable, then children can	be placed with foreign parents. Adoption in India is governed by the Central Adoption Resource Authority	(CARA), which works closely with local Indian state governments. The state	governments regulate and monitor the orphanages approved for international	adoption and adoption service providers licensed in their region. India is a party to the Hague Convention, so adoptive parents must first	be found eligible to be an adoptive parent by the US Government by filing	the I-800A form with USCIS. Please see information below concerning relative/kinship adoptions from India. Children become available for adoption in India for many reasons. Sometimes	it is due to extreme economic hardship on the part of the birth parents,	the social stigma of being a single parent in India, the special need	of the child, and many more. Children are from a wide range of India’s	diverse cultural and religious backgrounds. Children in need of families range from 1-15 years old. While gender preference can be indicated by Adoptive Parents, parents are	strongly encouraged to be open to a child of either gender. If a family	already has two children of one gender in the home, they are encouraged	to be open to a child of either gender. Over the past year, most of the children adopted from India had special	needs. With the new adoption regulations in place, many more healthy children	should be placed for adoption. Families will be placed one general waiting	list for every family interested in adopting from India. CARA will issue	healthy referrals to the next family in line, while always giving preference	for the child to go with an Indian family. The child may still have minor	medical and developmental delays due to institutionalized living. Another option for adoptive families is to adopt a child with special needs. Special needs vary from minor to severe and a wide variety of needs are	seen on the Waiting Kids page	. Medical intervention is very common for children once placed in the orphanage’s	care. Adopting a child with special needs can drastically shorten the	adoptive family’s wait time. There is no residency requirement in India. Parents are expected to spend	approximately one to two weeks with their child in country before returning	to the US. Some regions of India require families to travel twice, once	for court and once for Embassy. Other regions only require families be	present for the Embassy appointment. Both single parents and married couples may adopt. A married couple must	be married for a minimum of two years to be found eligible to adopt. India does choose to limit the age diferences for parents adopting children	in different age groups. They consider the age of the parents combined,	or a single parent. You can figure out if you qualify for your desired	age range, but adding the ages of both parents. If it is over the maximum	composite, then you will need to move up an age bracket. The composite age of the PAPs is determined	on the date of registration. The minimum age difference between the child and either of the prospective	adoptive parents should not be less than 25 years. Adoptive parents should have good health and should not be suffering from	any contagious or terminal disease or any such mental or physical condition	which may prevent them from taking care of the child. Families must meet income requirements as outlined by USCIS. The homestudy	of the family must demonstrate the financial stability of the family. India prefers families keep birth order. Families with up to 2 children	are allowed to adopt healthy children via the waitlist (wait times can	be 1 to 2 years). Families with 3 or more children will be required to	adopt from the special needs category. Adult children or children living	outside of the home are included in your total for consideration. Central Adoption Resource Agency (CARA): CARA is India’s adoption authority. CARA serves as a clearing house for information regarding abandoned/rilinquished/orphaned	children available for international adoption. CARA issues No-Objection	Certificates for all intercountry adoptions. Adoption Service Provider (ASP): All prospective adoptive parents (PAP’s	must use a U.S. Based, Hague Accredited ASP). Recognized Indian Placement Agency (RIPA), Specialized Adoption Agencies	(SAA), State-Wise Recognized Indian Placement Agencies (SARA): All U.S.	ASPs will work with a RIPA/SAA/SARA. They can also function as an orphanage. The Indian placement agency files the paperwork with the court. RIPA/SAA/SARA	is responsible for the supervising care of the child, providing all necessary	documentation on child, provided the child has been declared free for	international adoption, and facilitating court procedures. Because India is Hague Compliant, the following six steps must be followed	IN ORDER to ensure all legal requirements are met. 1. Choose an Accredited Adoption Service Provider (ASP). Only Hague accredited agencies are permitted to provide adoption services	in India. Under Indian law, foreign prospective adoptive parents are required	to use an agency that is approved by CARA. 2. Apply to be found eligible to adopt. This is accomplished by submitting a state approved, adoptive parent homestudy	and accompanying documents to USCIS with the I-800A form. (Requirements	for an India specific homestudy are included in the inter-agency agreement). a. Once the adoptive parent has been approved to adopt by USCIS, the I-800A	approval will be submitted with the dossier to CARA. b. CARA will then determine the adoptive parent’s eligibility to adopt	under Indian law. It is important to note that being determined eligible	to adopt by CARA does not guarantee placement of a child. a. To adopt a healthy child, the family will wait on India’s waiting	list until they get to the top of the list. CARA hopes to provide two	referrals, based on adoptive parents child preferences, to the adoptive	family. The family will have 96 hours to review the information and decide	to move forward with a child’s adoption. If the family rejects the	two referrals, they will go to the bottom of the waiting list and start	the waiting process again. To adopt a child from the Waiting Kid’s	Site, the matching will be done in the IAN office and approved by CARA. 4. Apply for the child to be found eligible for adoption. a. When the Adoptive Parent accepts the referral for a child, the family	will apply to USCIS to adopt that particular child. c. If the USCIS determines the child meets the criteria to be placed for	international adoption and is eligible to immigrate to the US, they will	issue what is called the Article 5 letter. a. Adoptive family will send orphanage and CARA the Article 5 letter showing	USCIS approval of the adoption. b. CARA will issue a No Objection Certificate and send it to the RIPA. d. RIPA will obtain the court order from the Indian courts with all required	documents and will approve the placement of the child with the PAP. e. The RIPA will send the copy of the court order to all parties involved. f. CARA issues and sends the Article 23 letter (Receipt for the US Embassy	that CARA received the adoption court order. 6. Bringing your child home: Once step #5 is complete, the child legally belongs to you. Most adoptions	are full and final in India. The following steps must be taken to travel	back to the US with the child. a. Obtain a birth certificate from RIPA. b. Obtain an Indian Passport. Your child will not be a US Citizen until	he or she arrives in the US. d. Interview to receive a US Visa. 18-24 months (After receiving approval from CARA): Matched with a child. 6-12 months: From the time the referral has been accepted to the time the	Indian courts finalize the adoption. Wait times can be greatly reduced in the case of older and/or special needs children. 1. Can I adopt more than one child at a time? Parents can adopt only related children/siblings, however it is very uncommon	to adopt siblings from India. Unrelated children cannot be adopted together. Parents can complete one adoption from India, and after one positive 3-month	post placement visit, they can petition for a second adoption. 2. Do I need a visa to travel to India? Yes. This must be done before you depart for your trip or upon arrival. Obtaining a visa upon arrival in new in India, and families are only allowed	to receive 2 per year. 3. What languages do the children speak? Hindi is the official language of India, but many regions have a particular	dialect they speak. Also, many RIPAs also speak English. 4. What information will I receive when I receive my referral? This will vary by region, but at minimum, you should receive a picture,	the Child Study Report, and a Medical Examination Report. 5. Can I use any US based adoption agency. No. First, the agency you choose needs to be Hague-accredited. Second,	the Agency must have licensing with CARA. 6. Do Indian Citizens living in the US or Individuals of Indian decent	receive priority? While all adoption agencies must follow the same procedures outlined here	by the Hague-agreement, India does prefer to place Indian children with	families of Indian descent. Please contact IAN for more information. 7. Where can I find more information about the adoption regulations in India? You can always review the full and updated guidelines CARA’s website	which can be found	here. The Juvenile Justice Act 2015, defines the term relative as “a paternal	uncle or aunt, or a maternal uncle or aunt, or paternal grandparent or	maternal grandparent”. The age criteria for prospective adoptive	parents has been waived for adoption of a relative. USCIS requires the	I800A to be filed before the child’s 16	th birthday. India’s Central Adoption Resource Authority (CARA) implemented new	guidelines on January 16, 2017 which are streamlining the relative adoption	process. Families are now registered on the CARINGS system so that CARA	and the District Child Protection Unit (DCPU) can view the family’s	documents and upload approval. The guidelines also include a list of documents	required for court as well a sample of the court petition. Families file the court petition in the local court where the child is	residing. In the past, a family adopting their nephew from Ongole would	have to travel to Hyderabad for court. Now the family files the court	petition in Ongole, thus avoiding a long trip by car or train and hotel. Because every relative adoption case is unique, Karla Whelan, IAN India	program consultant works closely with families, attorneys and CARA staff	to insure that all documents are in order for the U.S. government and	the Indian court to approve. If you are interested in adopting a relative	from India, please contact Karla Whelan at	440-732-8455 or	karla@internationaladoptionnet .org and let her experience guide you! Do you have other questions about this program Please speak with an adoption	coordinator, for contact information click here	. **Due to changes in adoption regulations, this information is subject to	change at any time without prior notice.